Amsterdam trio My Baby are bringing their live psychedelic experience to Leeds next month. 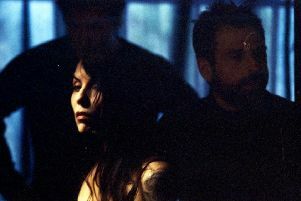 Already regarded as one of Holland’s finest bands, their single ‘Make A Hundred’ has proved one of the most popular songs of the festival season. Everywhere it was played the crowd immediately danced and cheered whether they were familiar with the band or not. It hasn’t taken long for the psychedelic, shamanic trio’s swampy blues and funk-inflected sound to cast a formidable spell, taking the world by storm and the band are now heading out on a UK headline tour that will bring them to The Wardrobe, in Leeds, on Monday, October 2. My Baby will be playing tracks from their third album, ‘Prehistoric Rhythm’, released via Glitterhouse Records, which takes the listener on an unorthodox musical magic carpet ride of thumping dance beats, shimmering soulful vocals and psychedelic riffs on the back of rootsy blues and dubbed out funk. After touring with Seasick Steve and Larry Graham, My Baby’s live show has been reconstructed to augment the sound and vision of ‘Prehistoric Rhythm’, emulating tribal celebration and creating a phantasmagorical universe the audience becomes part of. The band has garnered emphatic praise for their singular live psychedelic experience. After being the first ever Dutch band to play the main stage at Isle of Wight Festival earlier this year, My Baby hit four blistering live shows across the Glastonbury Festival and they are now aiming to stomp across the UK with the upcoming shows.